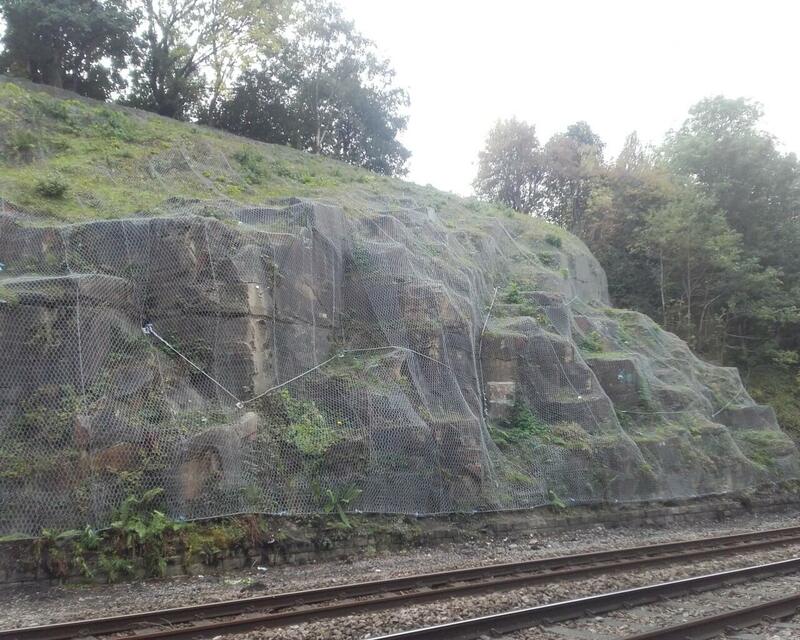 Handsworth cutting on the Deepcar to Cleethorpes line is cut through coal measures with bands of sandstone and siltstone/mudstone. 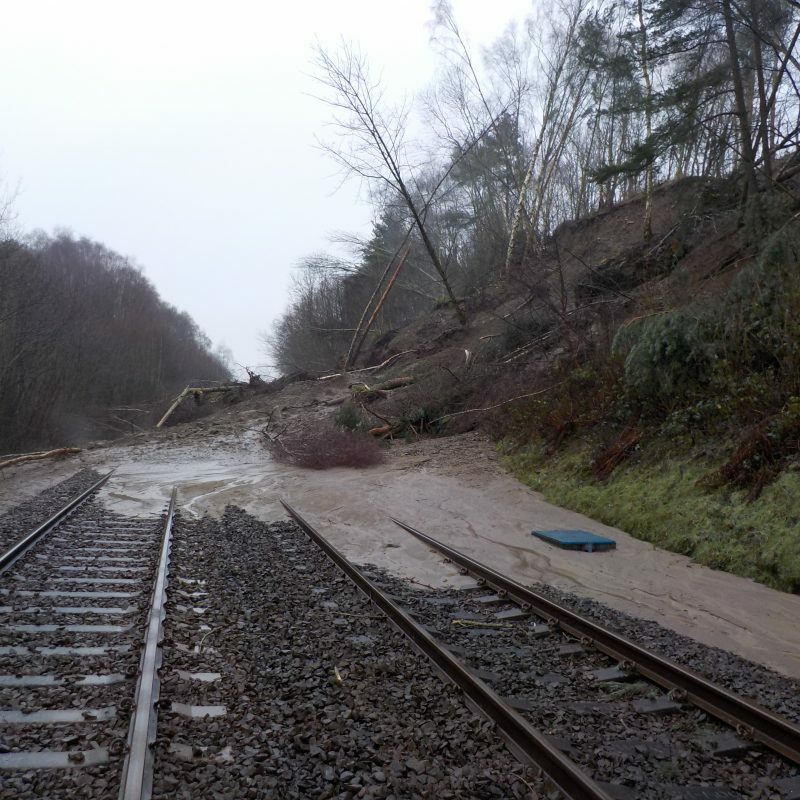 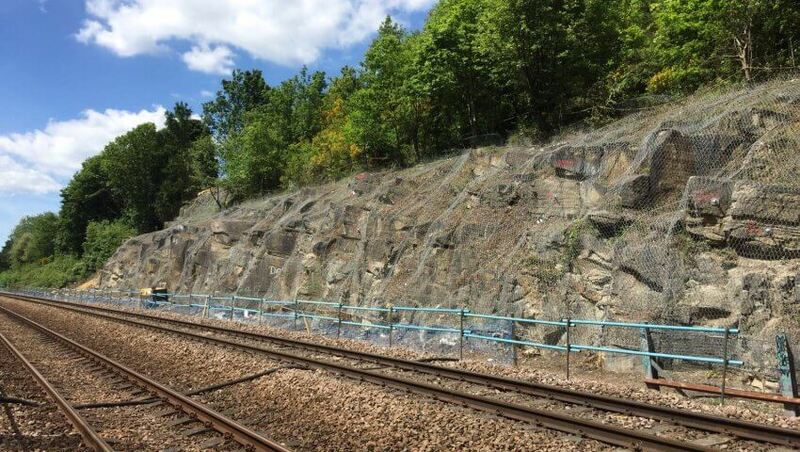 The local geology has weathered leading to unstable cutting slopes with a history of rockfalls in the cutting, most notably one causing the derailment of a train in 1996 on the Up Main. 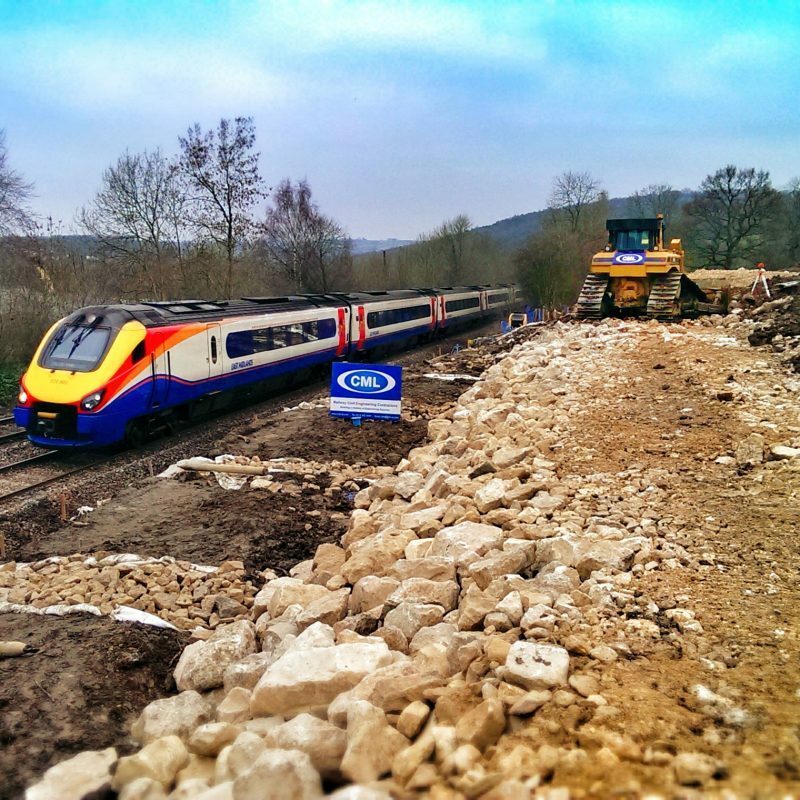 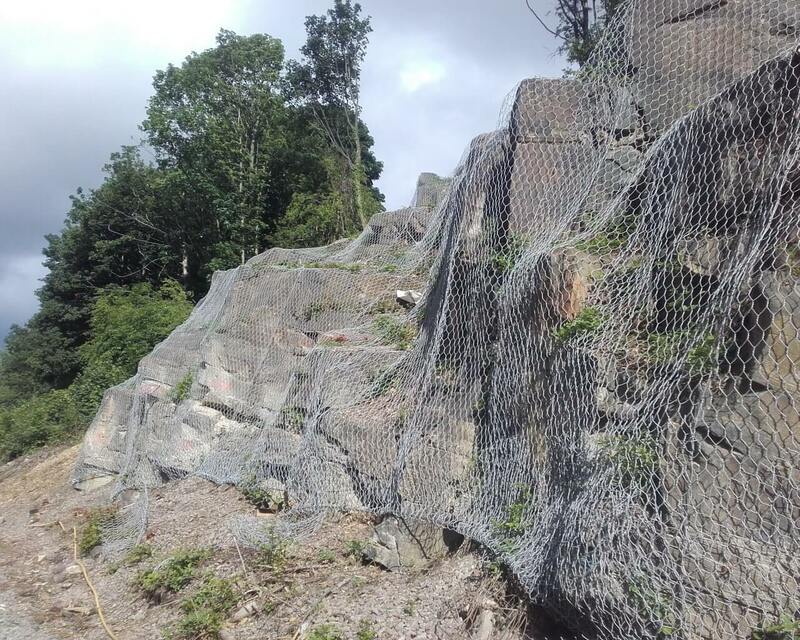 The steeper sections of the cutting would be secured with a combination of rock fall netting and rock bolts. 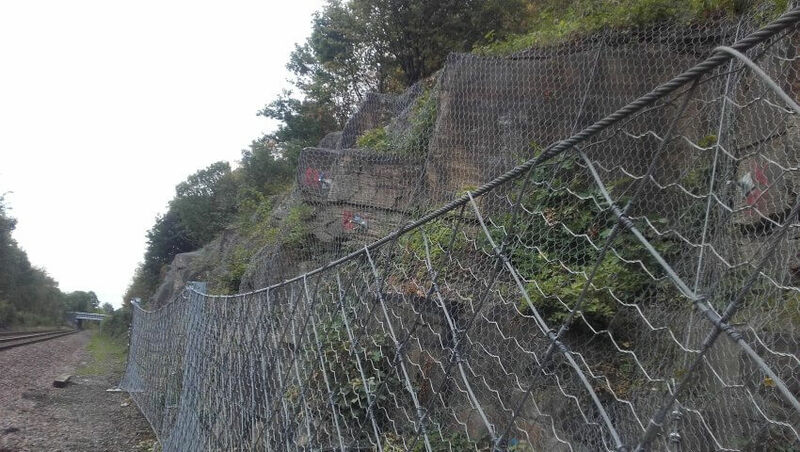 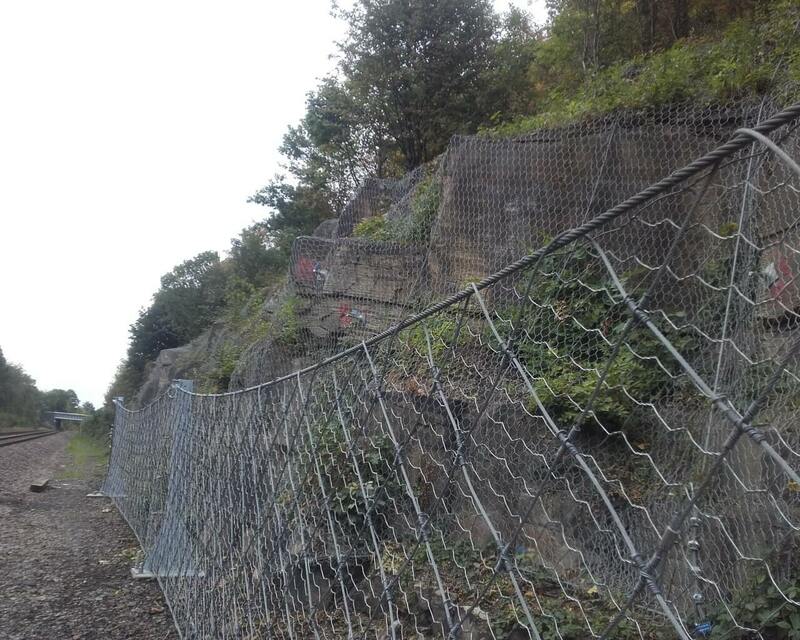 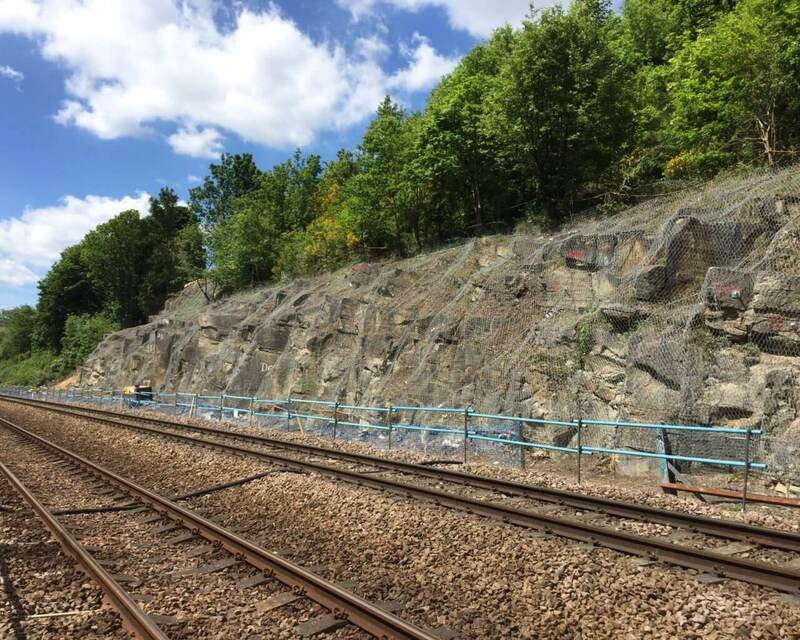 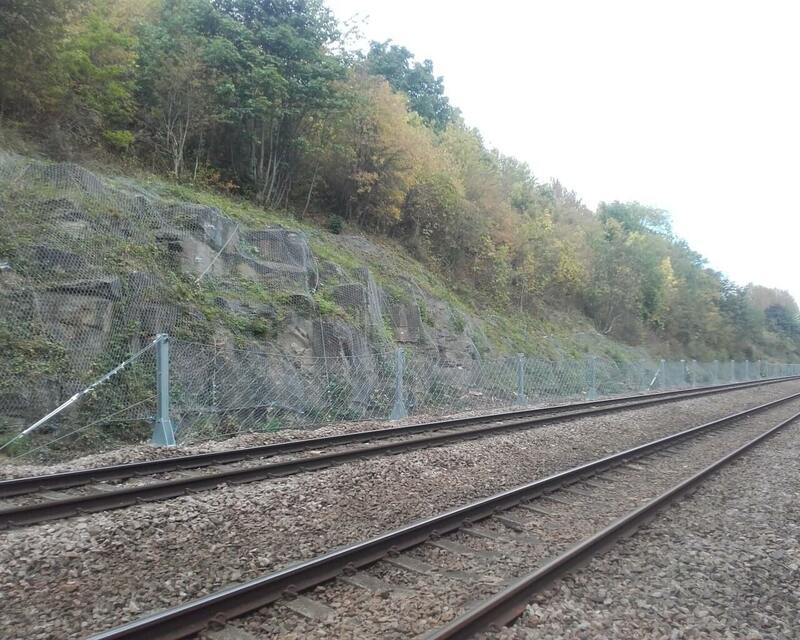 A series of low and high capacity rock fall fences would protect the track from the shallower rock and soil slopes. 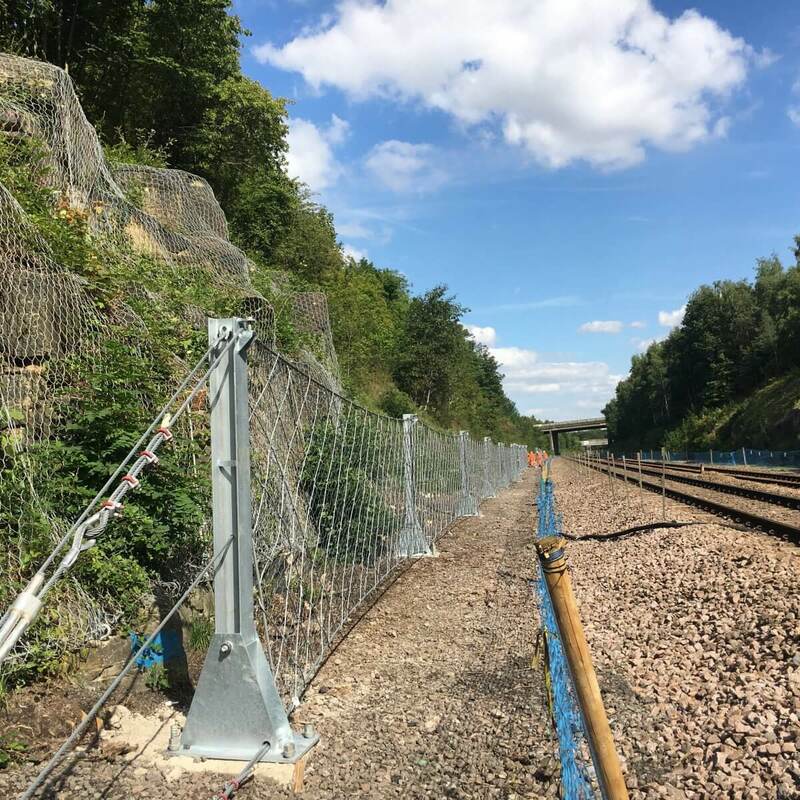 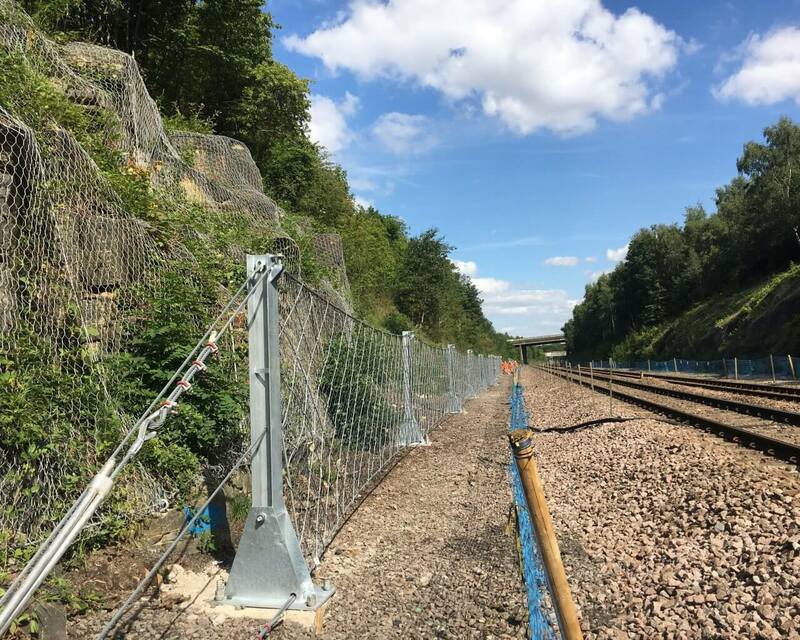 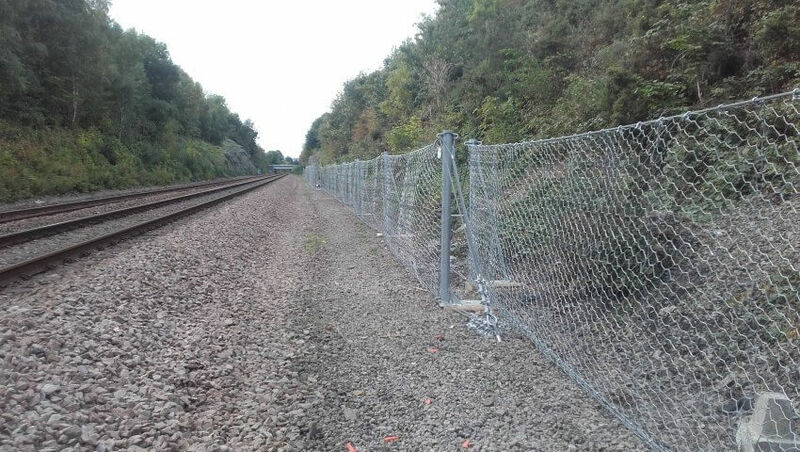 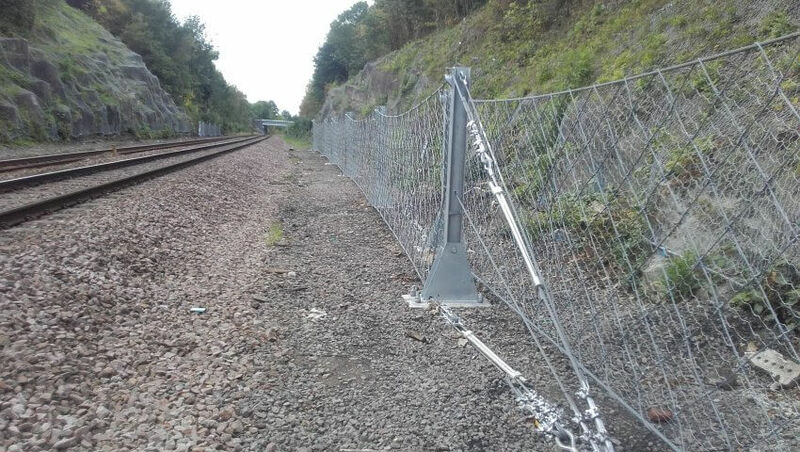 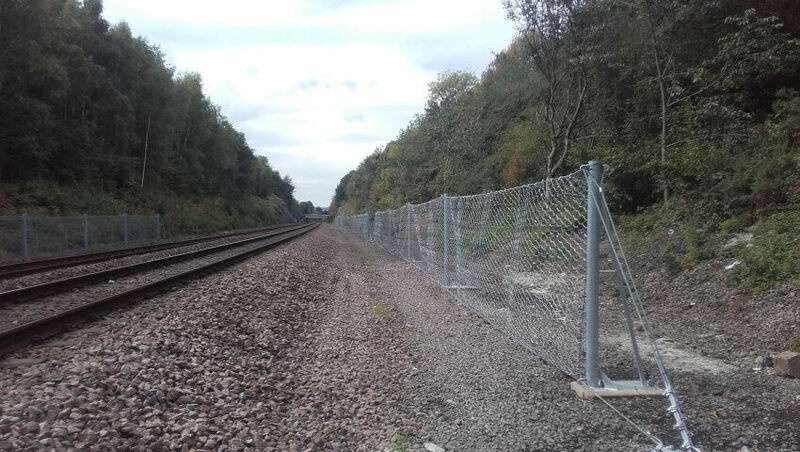 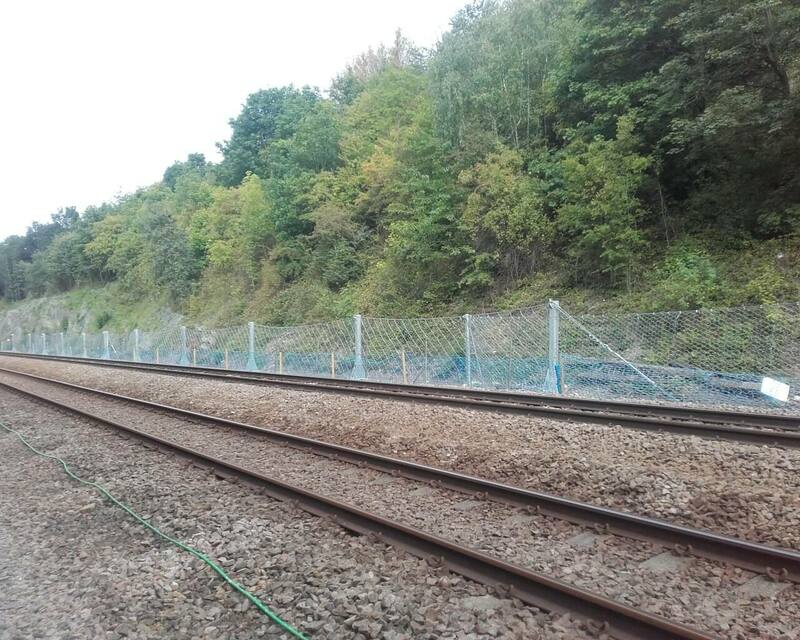 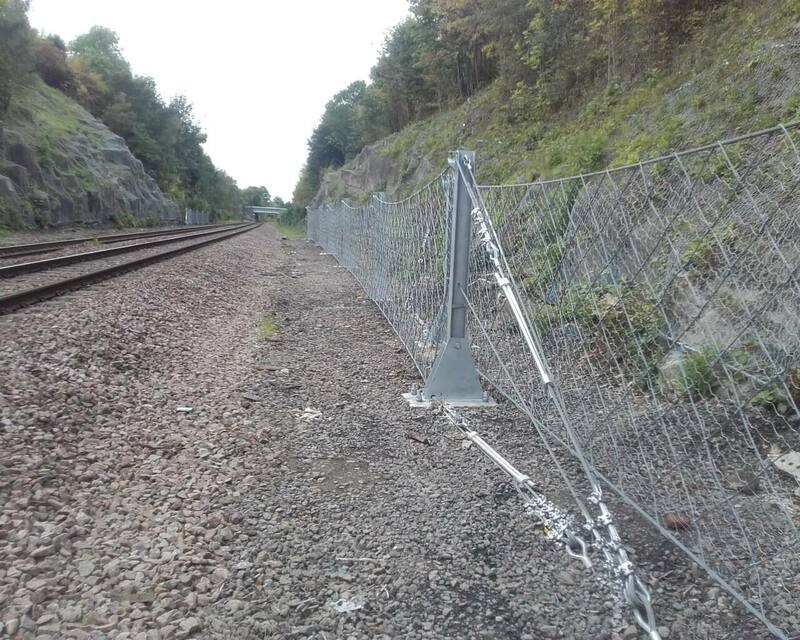 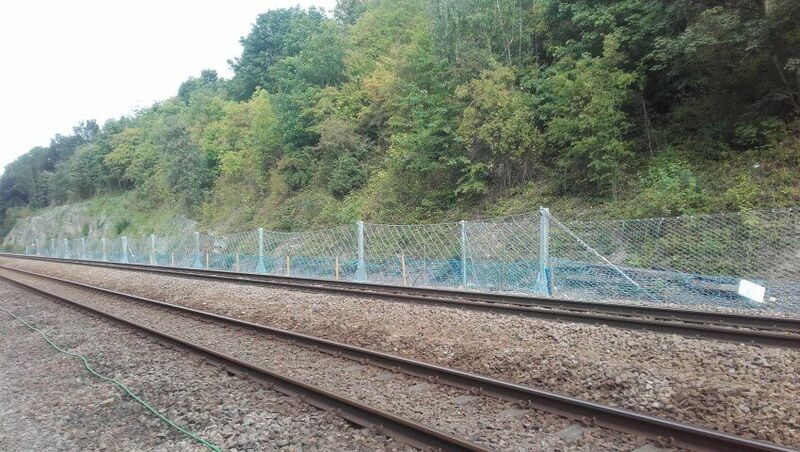 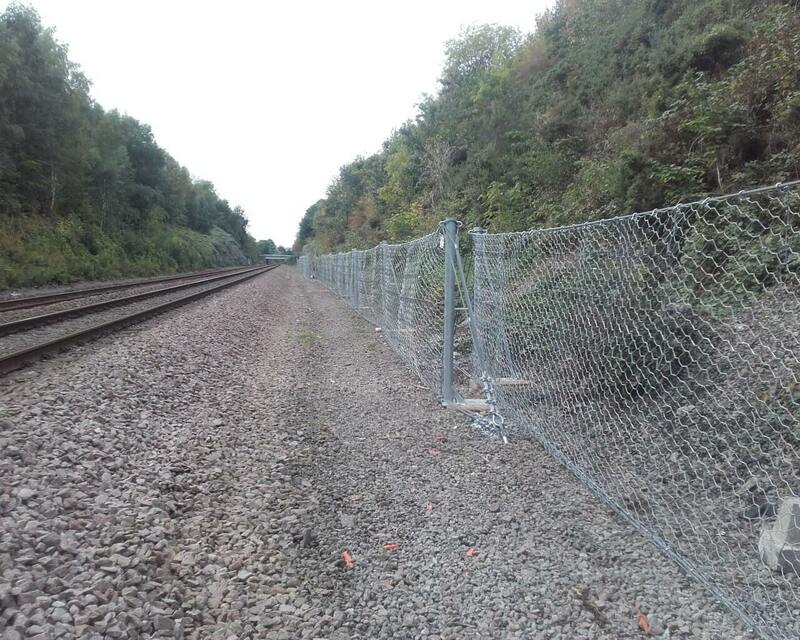 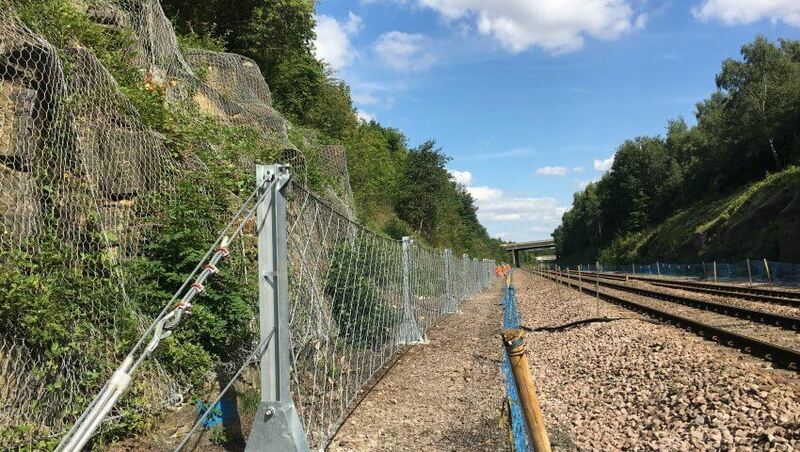 The wide cess area provided an opportunity to utilise specialist plant to install anchor bars for the catch fences, which could operate safely behind a safety fence during normal day time hours. 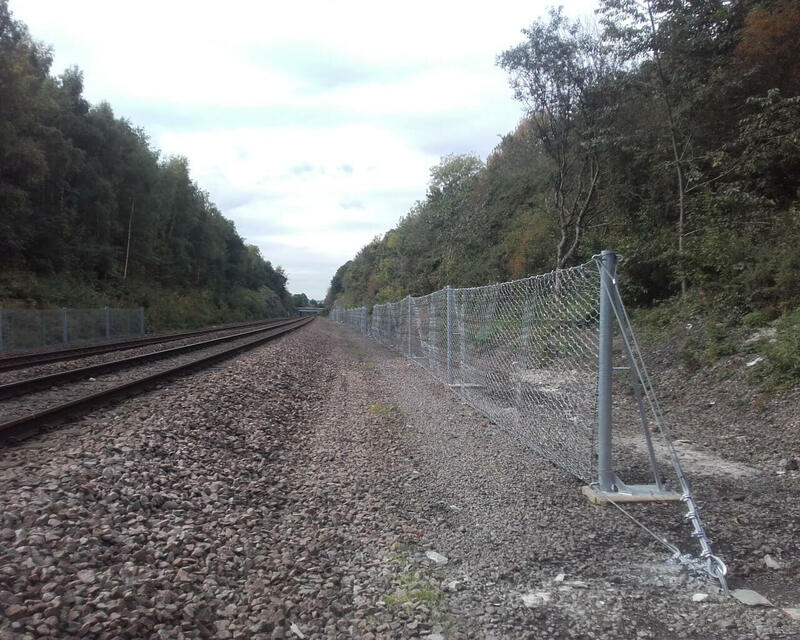 The movement restricted plant, operated under the guidance of the site specific ALO Plan (Any Line Open), eliminated the need for mid-week night time working, and reduced the number of possessions required to complete the works. 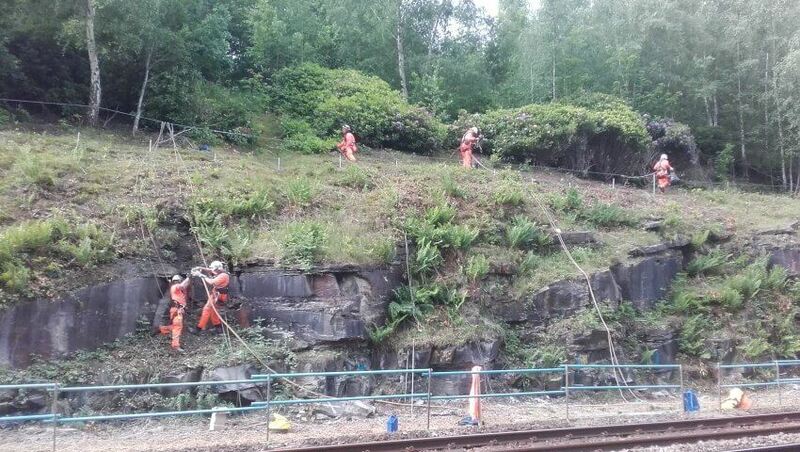 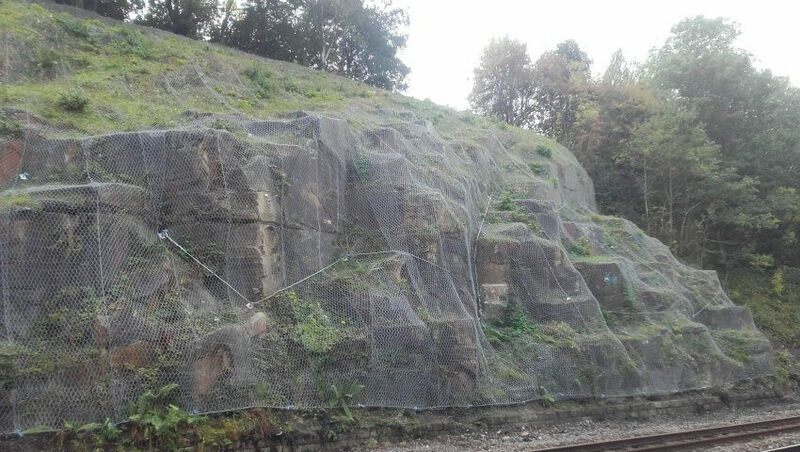 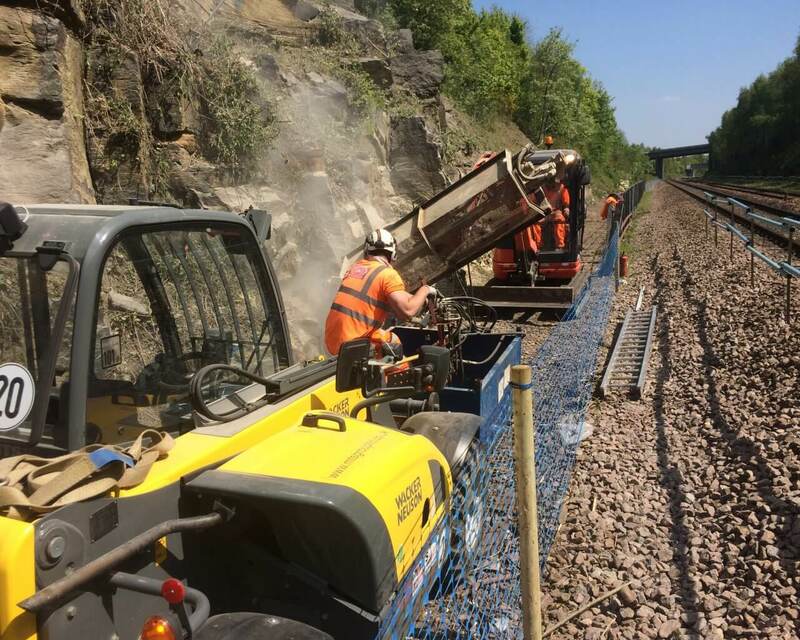 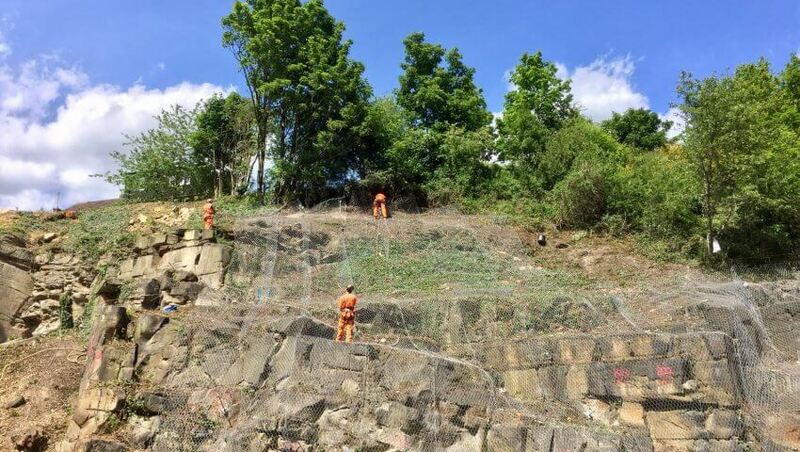 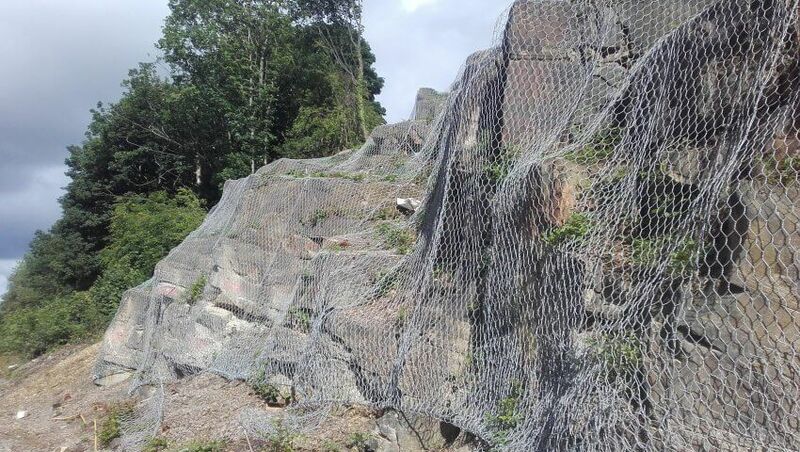 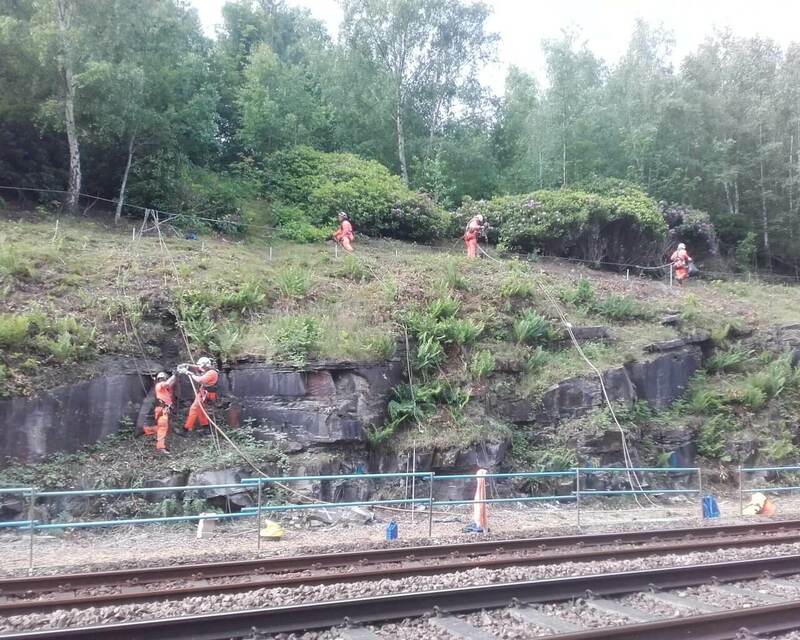 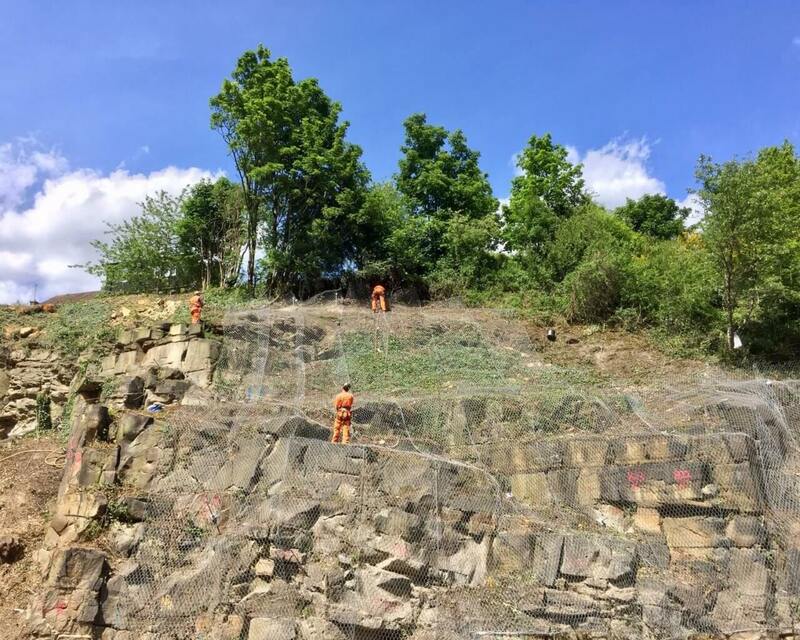 Our multi-skilled in-house rope access teams completed all vegetation clearance, rock scaling operations, drilling works, and the installation of nearly 4000 square metres of rock netting. 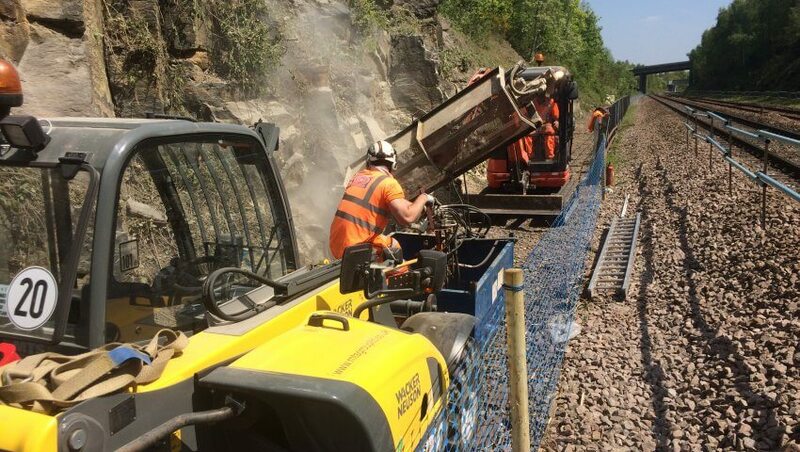 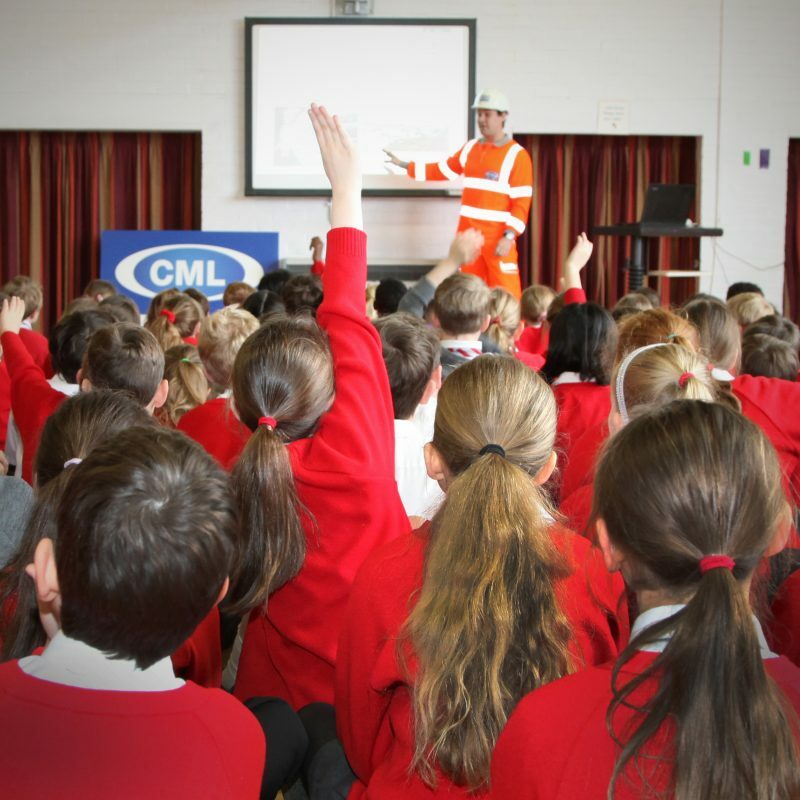 Utilisation of specialist restricted access plant reduced the requirement for possession works, further reducing programme and installation costs. 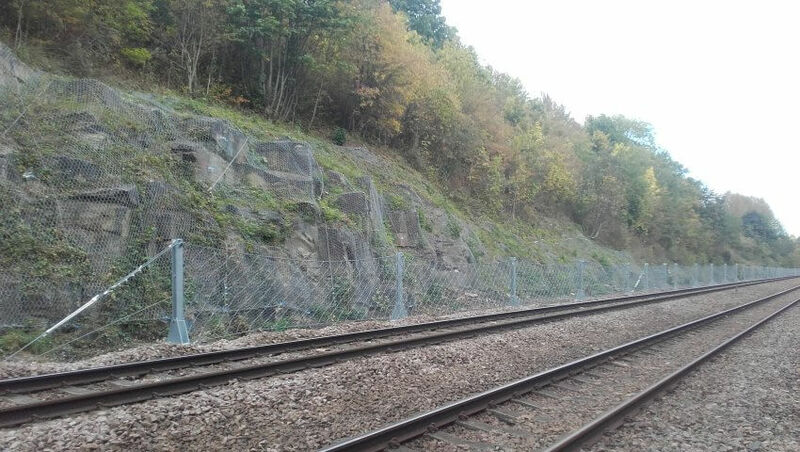 Collaboration with the design team drove further cost efficiencies by replacing some sections of proposed low capacity catch fence with a rock trap ditch where space permitted, without reducing the effectiveness of the design.